If you attended a white elephant or Secret Santa gift exchange party this season, there's a good chance that you wound up with your share of unwanted gifts. For years, re-gifting was the best option for getting rid of that stuff, provided you could tolerate the risk of re-gifting to the wrong person. Otherwise, your shiny new leopard-print coffee mug wound up cluttering your attic – or maybe the landfill. These days, online marketplaces and other exchanges make getting rid of unwanted gifts easy and profitable. Now is a great time to sort through your holiday inventory, write your thank you cards and consider how you might earn some money on the gifts you don't want or can't use. 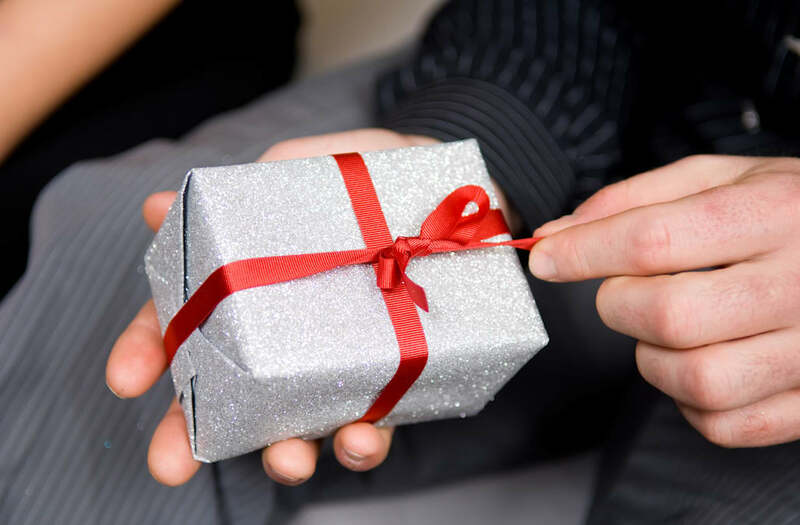 Here are seven ways to turn those unloved gifts into money. 1. Ship clothes and accessories to a resale site. If you ended up with clothing that you'll never wear or accessories that will never make their way out of the closet, consider partnering up with a mail-in reseller. Websites like ThredUP will take unwanted clothing off your hands by providing a shipping bag and mailing label. Just send your items in and you'll get a cut when it sells. They do all the work required to list the item on the site, so you don't have to worry about taking photos or providing descriptions. You can even donate the proceeds to your favorite charity if you want to pay it forward rather than put it in your pocket. 2. Sell housewares on eBay. If you received a mug, bakeware or other holiday-themed housewares, there's a good chance that someone on eBay is looking for it. List those useful items on the eBay marketplace and watch as the bids roll in. Make sure to include a clear, high-quality photo and good description of the items for a faster sale. 3. Sell anything on the Amazon Marketplace. If you're already an Amazon seller, consider adding any books, household items, clothing and even electronics to your seller account. Many people visit Amazon to buy used items based off a quick and easy search, which means that you could make a quick and easy sale. 4. Sell movies and video games on half.com. If you ended up with a movie you'll never watch or video games you'll never play from one of your fellow white elephant party attendees, consider listing them for sale on half.com. This site is an extension of eBay and is intended for media products that are in like-new condition. You can list used items on this site to earn up to 75 percent of the listing price after seller fees. 5. Post your offerings on Craigslist. If you're comfortable with having a stranger pick up the item – or you dropping it off – consider selling your gift on Craigslist. You never know who in town may be looking for that fuzzy blanket, crockpot or envelope holder you acquired at the office Secret Santa party. You could even offer to ship the items if you think you can sell it at a reasonable price that covers shipping charges. If you decide to meet your buyers in person, make sure you take the proper safety precautions. Craigslist suggests that you should meet at a busy public place, bring your phone, bring a friend with you or at least tell a friend or family member about the meeting. 6. Turn gift cards into cash (or better gift cards). Nothing says "I've given up on giving a heartfelt gift" like a gift card. If you received a gift card to a store you never visit – and you don't know anybody who will – visit an online gift card clearinghouse like Gift Card Granny or CardCash. In just a few clicks, you can sell your unwanted and unused gift cards for cash. Or you can trade them for cards you actually will use. You'll lose a bit of the card's value for the service, but since the alternative is not using the card at all, you'll come out ahead. 7. Join a neighborhood community sale. If you're part of a church or other local organization that coordinates community sales and yard sales throughout the year, consider adding your white elephant gifts to the sell-off pile. You can gather all the clutter and extra items from the holiday season and share the wealth with the community and help out a good cause. The money earned on those items can be donated to the organization – and you'll have the peace of mind of knowing that the gifts you didn't want were put to good use after all.